I started skiing at 10 years old on a small dry slope in Devon. At 12 I had my first experience on snow and fell in love with the sport. After 10 years of ski holidays with my family, I realised I wouldn’t be happy without skiing in my life. 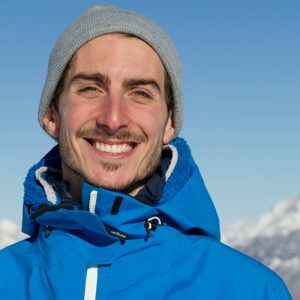 After my first two winters working in the Alps, I discover my passion for teaching and realised I this is all I wanted for my future. Here I am seven winters later enjoying my passion as a job. I couldn’t be happier! I’m very happy to provide my service no matter what level skier you are. I will ensure you get the most out of every lesson and enjoy every day! It’s your holiday, let me help you to make it the best holiday yet! Relaxed and adaptable. Whatever you need to make the session work best for you, I will help to ensure u get exactly what you wanted from your lesson. Every lesson with me is tailor-made to suit your individual needs. My number one interest is making sure you get the most out of every lesson. I guarantee you will leave wishing you had booked more!